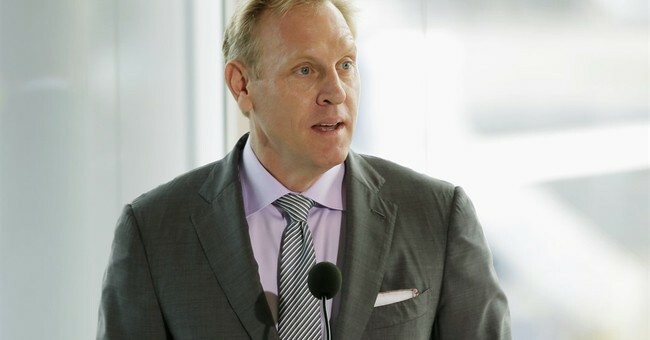 Acting Secretary of Defense Patrick Shanahan made an unannounced visit to Afghanistan over the weekend amid ongoing peace talks. “In Afghanistan, the secretary is meeting with President Ashraf Ghani to discuss a broad range of defense issues. While there he is also meeting with Coalition troops in support of Afghan forces as they lead the fight to defend their country,” the Pentagon released in a statement on Monday. Current peace meetings between the Afghan government and the Taliban are still in progress. A plan has been tentatively agreed upon for the terror group to not let Afghan territory to be used as a “platform for international terrorist groups or individuals” and the U.S. withdrawing its forces. While there are reports the Trump administration is considering withdrawing half of the 14,000 American troops that are currently in Afghanistan, Shanahan said he has not been given such orders. “I have not been directed to step down our forces in Afghanistan,” he said. I look forward to discussing with @GavinWilliamson this vision, our strong UK-US relationship, and our firm commitment to @NATO, this week at the NATO DefMinister's meetings.